The fifth annual FSE Glasgow will take place on the 13th of March. 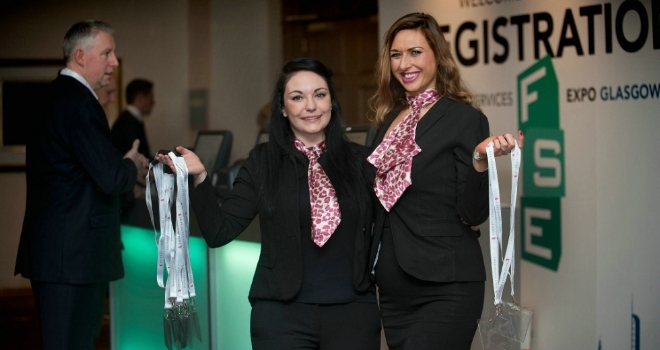 "FSE Glasgow is always a busy and vibrant show to kickstart our year of Expos, and this year will deliver an unparalleled exhibitor line-up "
The fifth annual Financial Services Expo Glasgow is now open for registration. FSE Glasgow will take place on the 13th March at the Doubletree by Hilton Hotel on Cambridge Street. Advisers and brokers can register for the one-day event by visiting the FSE Glasgow website at: https://www.financialservicesexpo.co.uk/glasgow/register. Once again, FSE Glasgow will be offering a wide range of exhibitors, networking opportunities, and a series of seminar sessions which are CII-accredited. The programme has been put together by Financial Reporter and full details of the seminar programme will be announced shortly. This year's headline sponsors include Age Partnership, Barclays, Key Partnerships, more 2 life, Mortgage Advice Bureau, Paradigm, Pure Retirement and Vida Homeloans. Other exhibitors include Affirmative Finance, Bluestone Mortgages, Clever Mortgages, Compliance First, Coventry for Intermediaries, Hanley Economic, Hodge Lifetime, Precise Mortgages, plus many more. Further details on Financial Services Expo Glasgow are available at: https://www.financialservicesexpo.co.uk/glasgow. James Prosser, managing director of Front Events, organisers of FSE Glasgow, commented: "We're delighted to be back north of the border to deliver our fifth FSE event in Glasgow. "FSE Glasgow is always a busy and vibrant show to kickstart our year of Expos, and this year will deliver an unparalleled exhibitor line-up to educate advisers of the ever-changing market and help them shape their own advice propositions. "2018 saw a raft of new lenders enter the Scottish market and this is a great opportunity for advisers to network and expand their offering, as well as keep on top of continued regulatory changes and new product offerings. "We already have a significant number of exhibitors signed up, including a number of major lenders, with more to follow, plus we will also be announcing the full seminar programme in due course.